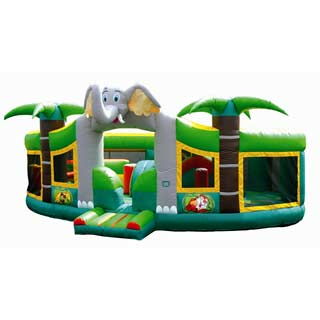 This jungle motif inflatable is packed with hours of fun! The Jungle Adventure Playland is packed with hours of fun! Kids can run through the obstacle course, go down the covered slide, and bounce and run through the pop-ups.